Altercore's Patty Vegan Boots are a great pair of gothic ankle boots. These vegan leather boots have an inside zip and 3 buckle straps across the front. 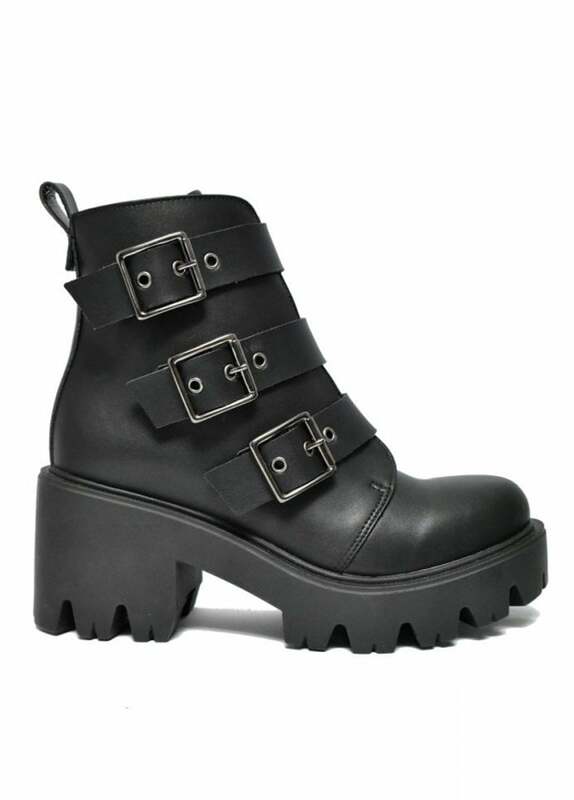 The alternative boots feature a super chunky cleated sole with small heel.